March Featured Product: Chipboard Laser DieCuts! Check out how Adora uses the Gears Bag o' Chips in her project!!! Hello and happy Friday to you Quick Quotes fans! Adora here today hosting the blog! Today, I am here to share with you another project I created with the March QQ Club-Q Kit. 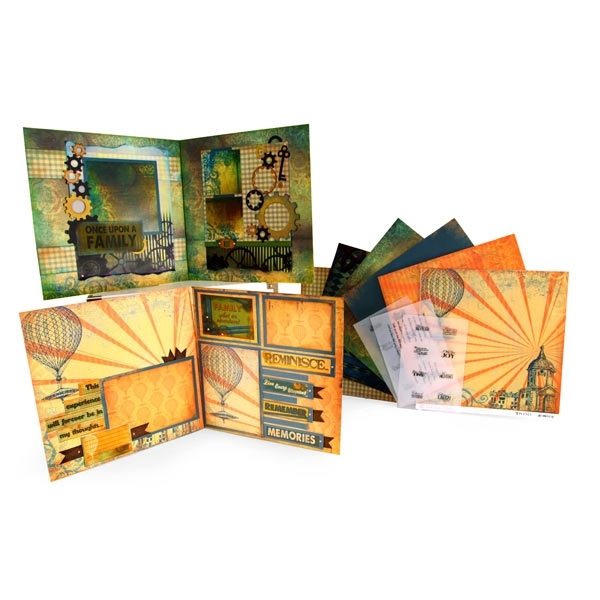 This is the double page layout kit! Isn't it gorgeous? :) Love the rich colors! I made this layout of my son and Lucy! I stamped and cut out an image and used it to embellish my page. I also stamped on the background paper, to add dimension. I love the gears die cuts included with the kit! They come in chipbaord and black cardstock, there's something about a hint of black on my projects that I love. And with these awesome chipboards, I first painted it white, then smeared some color on it. Don't forget about our Chipboard Laser Die Cut giveaway! great ideas for using chipboard. tfs.